AKA Michael Delaney Dowd, Jr.
At 15, Mike Dowd was already a professional singer, earning free room and board plus $35 a week for singing pop standards on a cruise ship that sailed between Cleveland and Buffalo. Douglas served in the Navy during World War II, then signed with Kay Kyser's Kollege of Musical Knowledge. It was Kyser who gave Dowd his new name, without warning, by introducing him one night as Mike Douglas. When Walt Disney heard Douglas' singing, he asked him to croon as Prince Charming in Cinderella. Douglas later worked as a "staff singer" at NBC, before being offered his own show at a Cleveland TV station. It started in December 1961, but was quickly successful and syndicated, and relocated to Philadelphia from 1965-78, then Burbank from 1978-82. It was the top-rated daytime talk show during most of its run. On one program, Barry Goldwater played his trombone, and on another, a 3-year-old golf prodigy named Tiger Woods putted on stage. Douglas often had co-hosts who would spend an entire week on his show, everyone from Barbra Streisand to Sammy Davis, Jr. to Joan Crawford and Joyce Randolph. Co-hosts helped interview guests in exchange for spending an entire week -- instead of just a few minutes -- plugging their latest projects. In 1972, John Lennon and Yoko Ono co-hosted for a week, with guests including Bobby Seale, Jerry Rubin, Ralph Nader, and George Carlin. Douglas squirmed and his staff struggled to keep political discourse to a minimum, and Lennon was told he could not perform the song "Gimme Some Truth" because it included an unflattering allusion to President Richard Nixon. In addition, he had to sit through Douglas' syrupy renditions of "Michelle" and "With a Little Help From My Friends". It was acclaimed as Douglas' finest week, and drew huge ratings. Backstage, though, producers and staff remember it as "a week everyone was very relieved to see end." 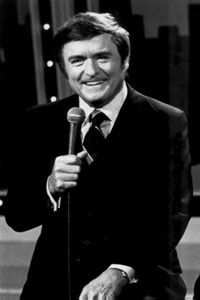 The Mike Douglas Show was not normally a comfortable place for newfangled 1970s perspectives; its producer was a young Roger Ailes, who went on to develop Fox News. Douglas's legacy may be seen in the next generation of talk show hosts. Rosie O'Donnell was a big fan of The Mike Douglas Show, and has said that she admired and tried to emulate his warm and seemingly sincere attempt to make every guest feel truly welcome. Others have suggested that David Letterman's heightened insincerity and occasional iciness -- almost a parody of the standard-issue talk show -- was originally intended as mockery of Douglas' style. After a lengthy retirement Douglas died on his 81st birthday in 2006.